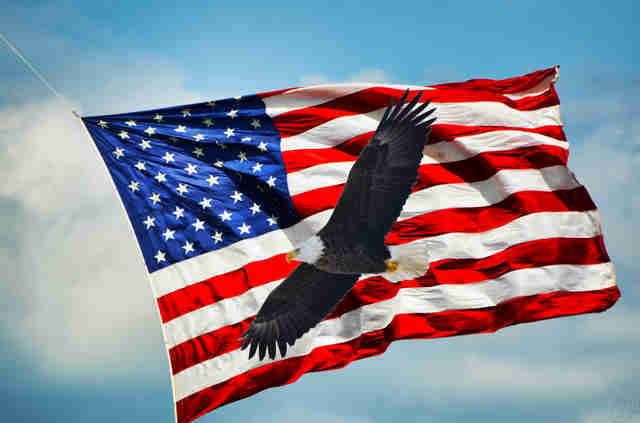 It’s time to pay homage to all the American goodness that was born in the City of Brotherly Love. You know we aren’t afraid to brag about the greatness Philadelphians have produced, (even fictional Philadelphians), so here are 12 things that the nation would be living without if it weren’t for Philadelphia. Let’s just get it out of the way -- despite what Boston may think, Philly has done more for the founding of the US than any other city. Among the important events that occurred in Philly: the drafting and signings of the Declaration of Independence and Constitution, the meeting of the first Continental Congress, and the creation of the American Flag (drops mic). On top of all his contributions to the founding of the country, the man created lightning rods, odometers, swim fins, the Franklin stove, and early electrical research. The list of inventions goes on and on, it's so long you'd need bifocals to read it the whole way through... bifocals that Ben Franklin INVENTED! With a nation built on glorifying pyromania, it was only a matter of time before we needed someone to put out those fires. 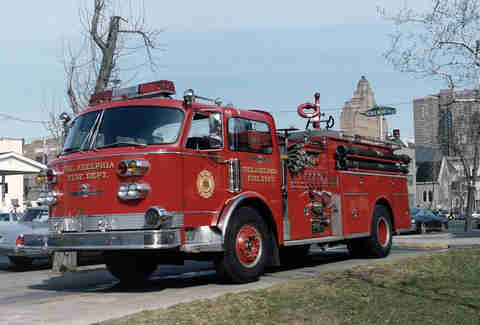 Enter the Union Fire Company, the nation’s (and potentially world’s) first volunteer fire company started in 1736. If you DO happen to burn your house down, you can thank the Philadelphia Contributionship (1752) for the fire insurance that compensates you for the accident (yeaaaah... accident, that's right). Philly’s been leading the way for the lazy for the past 100 years, with the nation’s first taxi service (1884) and escalator (1901). Maybe there’s a reason that we wear more sweatpants than any other city in the country. Cable service: great! Customer service: bad! But, we do have that sweet tower. We may have talked about this once, or twice, or a few other times before, but Philly has given the US -- and the rest of the world -- the mighty cheesesteak. For the non-whiz inclined, Philly is also the birthplace of the hoagie. 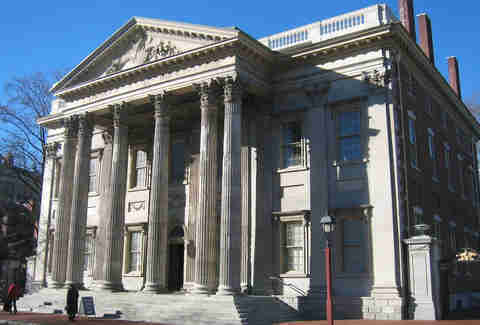 We had the nation's first public bank and the nation's first public stock exchange. They're two things that work well separately, but start trouble when they spend too much time together. 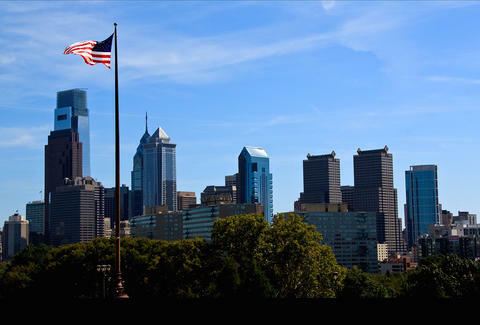 DC may have that title now, but Philly was the first capital of the US under the Continental Congress for two months. That’s longer than the entire presidential term of William Henry Harrison, so there's that! 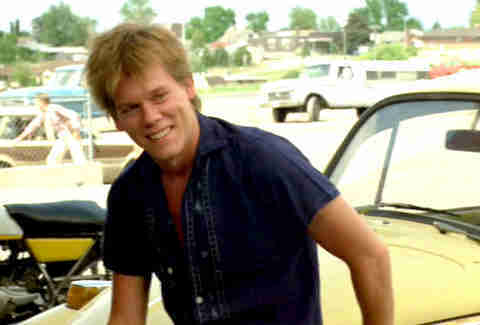 Did you know that Kevin Bacon was born and raised in Philadelphia? Well now you do and you can thank the city (and Mrs. Bacon) for bringing him into the world. For instance, without Philly we wouldn’t know how many movie connections separate Kevin Bacon from Shaq. For the record, it’s two degrees: Shaquille O'Neal was in Grown Ups 2 with John Joseph Lindsey, who was in Black Mass with Kevin Bacon. The list of Philly-born stars include: Adam McKay, Bradley Cooper, Tina Fey, Bob Saget, Will Smith, Kevin Hart, Richard Gere, Seth Green, and Taylor Swift. That’s not even including the dozens of other famous artists, musicians, sports stars, writers, politicians, academics, and pudding spokesmen we feel really gross talking about. Thank Philly for setting the scene for native-son Rob McElhenney's comedy series It’s Always Sunny in Philadelphia. 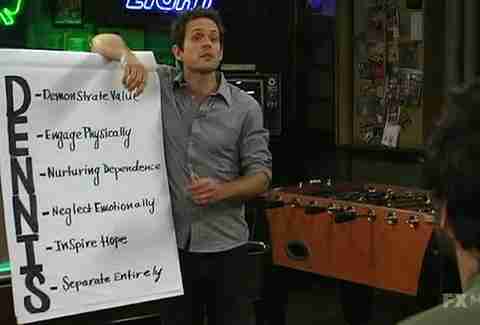 If George Washington had a system for picking up women (sorry Martha), he couldn't have done it any better than Dennis.